#SchoolOTsMatter Archives - Miss Jaime O.T. You may have heard the buzz about Occupational Therapists advocating for Educational Credentialing. Especially if you work in the education world. State Education laws vary from state to state. But in every single state in the USA (except for four), OTs and PTs are not under the “umbrella” of teachers. They do not have “educational credentials”. This started in the past. Way in the past, because OTs and PTs were considered “medical” (like the nurses). However, educational laws have changed to a more inclusive educational community. 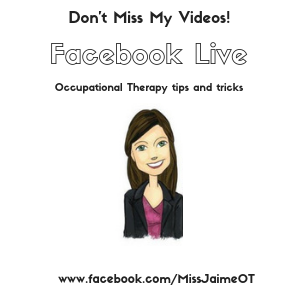 This changed how OTs and PTs are employed. Now, school therapists support children’s academic success. Unfortunately, the state education departments haven’t revised their terminology and laws to include OTs and PTs as “educators”. YET. OTs and PTs are not ALLOWED to address medical issues – those must be worked on outside of school in a clinic or community setting. 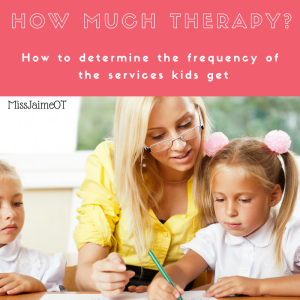 Everything a school therapist does must DIRECTLY relate to our kids’ academic needs. Who IS under the “umbrella” of teachers? All of these professionals who work in the school system are considered”educators” or “pedagogical”. This means they are considered teachers, no matter what their license says (social work, guidance, etc.). The state education system provides them with this title, which means they are “credentialed” as educators. sometimes laws don’t keep up with the times… AND This is one of those times. This limits us from collaborating properly as team members to make the most successful environment for the students. It also barrs OTs and PTs from MANY of the protections and opportunities that the “teaching” umbrella offers to other faculty. How are we all ALikE? – similar job functions within the school setting. – address educational goals on student’s Individualized Education Programs to help them access their curriculum. Social workers address social-emotional and behavioral needs of students that impact a child’s ability to access the curriculum. School psychologists address social-emotional needs, coping strategies, and other areas that impact a child’s ability to succeed in the classroom. Speech-language therapists address expressive and receptive language deficits that impact a child’s ability to learn. – We all should have equal supervision, professional development, retirement, benefits, and the ability to advance to leadership or administrative roles, but we don’t. HOW are THE ROLES Different? Occupational and Physical Therapists should be included in the umbrella of Pupil Personnel by their state education departments, but we are limited greatly by this archaic legislation that segregates us from our colleagues. 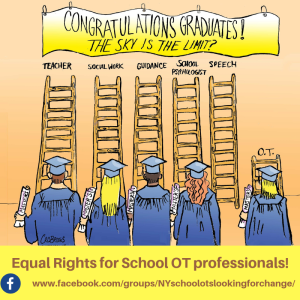 OT and PT professionals want education credentialing to achieve equality with our colleagues in the school system. Opportunities for Leadership – Currently, OTs who are graduating from OT programs must have a minimum of a Master’s Degree. (This is the same as teachers, social workers, psychologists, speech and language therapists). PTs who are graduating must have a doctorate! We are not ALLOWED to pursue Educational Administration coursework, but we have equal or greater requirements to work in our profession. In most states, an OT or PT professional can get a job in a school, but they have NO WAY to move up the ranks. They can’t be a principal, CSE chairperson, Special Ed director or Superintendent. All the other “teachers” can if they take the proper coursework, but not us. 2) Collaboration- Many school OTs and PTs are excluded from typical staff meetings, professional development opportunities, and co-teaching situations. We are often not directly “employed” by the school. 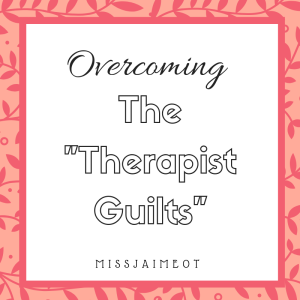 This enlarges the gap between the rest of the staff and the therapists. How can we be a cohesive team when we are treated so differently? Read a personal story by a therapist who worked in the same school for thirty years. 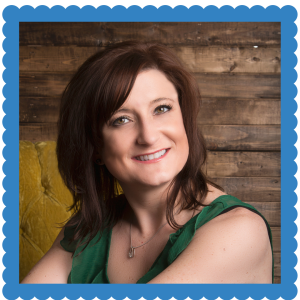 She was never “on the list” for simple work things like the holiday party, the super bowl pool, and more. This kind of exclusion isn’t done on purpose, but it does impact a therapist’s ability to be a “member of the team”. Developing a rapport with your co-workers takes time. If you are “not on the list” for things where the other faculty are working, collaborating, or even socializing, it takes that much longer. 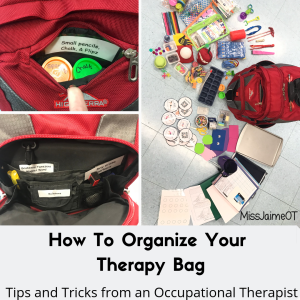 Occupational therapists across the United States are joining together to fight the state legislation that keeps us in this “other” category. We’ve got a long way to go, but we’ve come very far in a short time. Multiple state associations and the American Occupational Therapy Association are supporting us! To learn more, watch this FREE educational credentialing webinar. 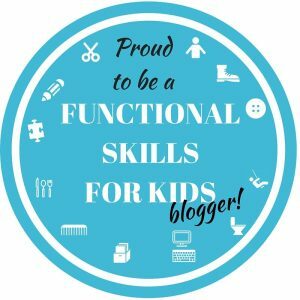 Join the Facebook group “USA School-based OTs Looking for Change”. Help us in this quest for equality. 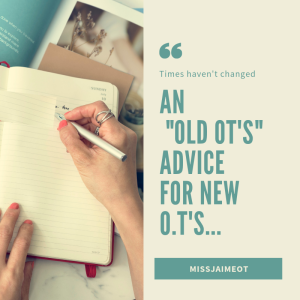 Sign up for Miss Jaime, O.T.’s OT politics newsletter. Stay in the loop with how we are advancing.